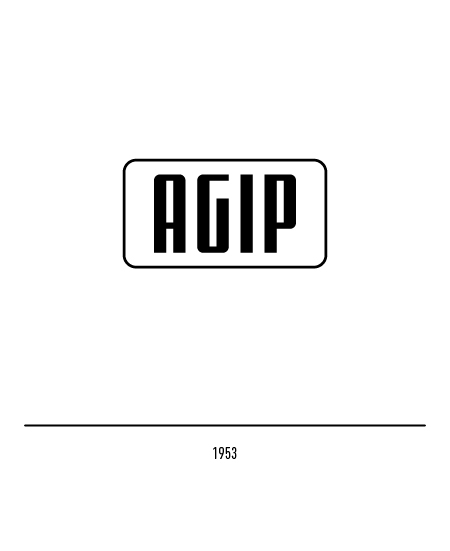 AGIP was established in Rome in 1926 under the auspices of the Italian government for the purpose of exploring, exploiting, and distributing Italy's underground resources. 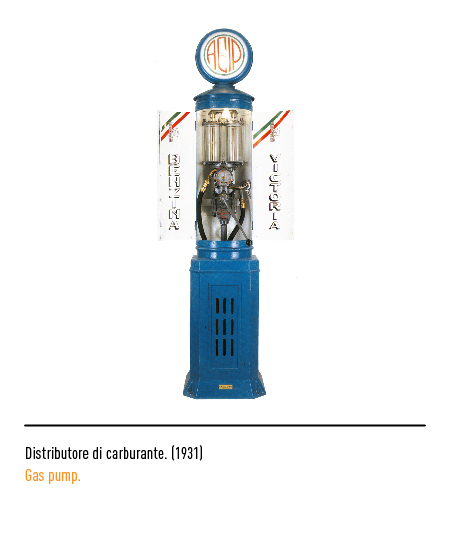 The acronym, which stands for "Azienda Generale Italiana Petroli", began appearing inscribed within a circle with the colours of the Italian national flag on the chain of petrol refuelling stations set up by the company throughout Italy in the early thirties. 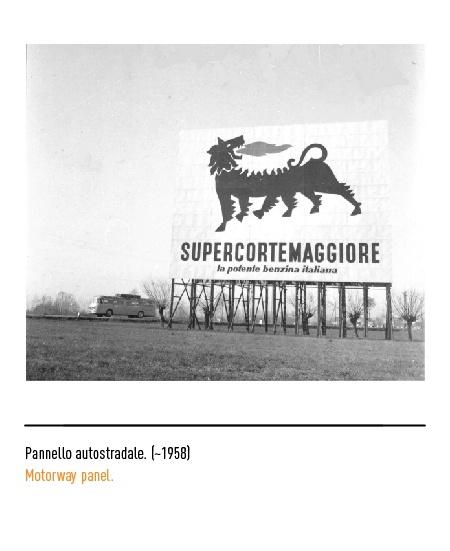 After the discovery of oil at Cortemaggiore near Piacenza in 1952, the then president of the state-owned company, Enrico Mattei, decided to call the national petrol "Supercortemaggiore" and to accompany the name with a distinctive logo. 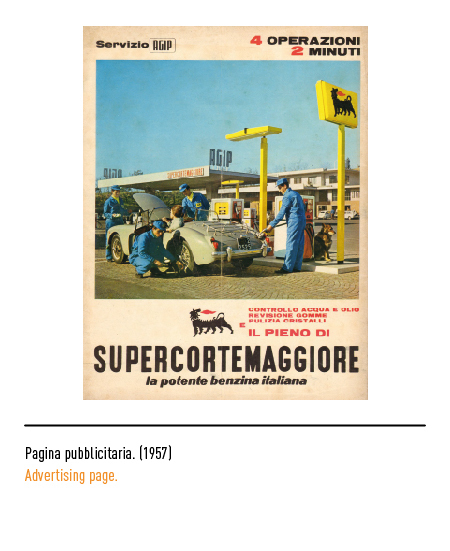 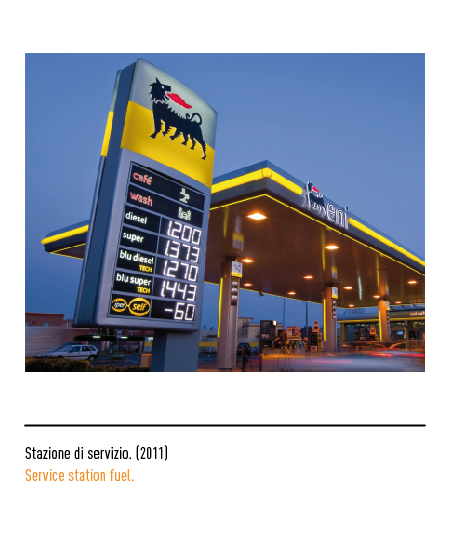 A competition was launched through the journal Domus calling for bill-board publicity poster design proposals for "Supercortemaggiore" and "Agipgas" products as well as for ideas for the two logos and the colour of the petrol pumps. 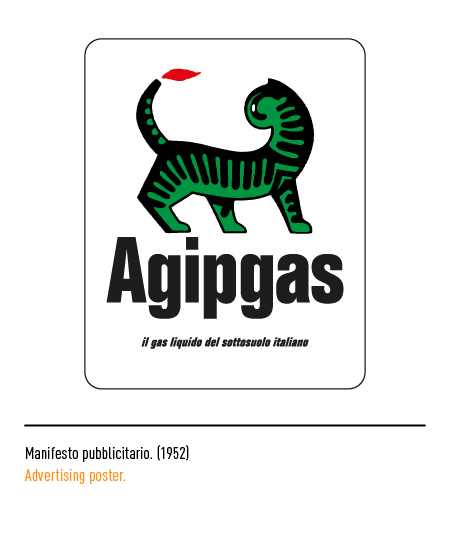 The Agipgas bill-board poster, designed by Federico Seneca, depicted a cat with red flames issuing forth from its tail and the wording "il gas liquido del sottosuolo italiano" and the winning entry for the logo was submitted by Alfredo Lalia. 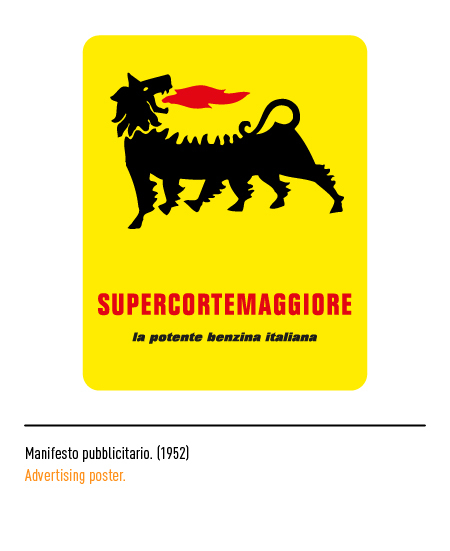 A stretched out figure of a six-legged black dog with large red flames issuing forth from its mouth set against a yellow background was the design selected for the Supercortemaggiore bill-board poster. 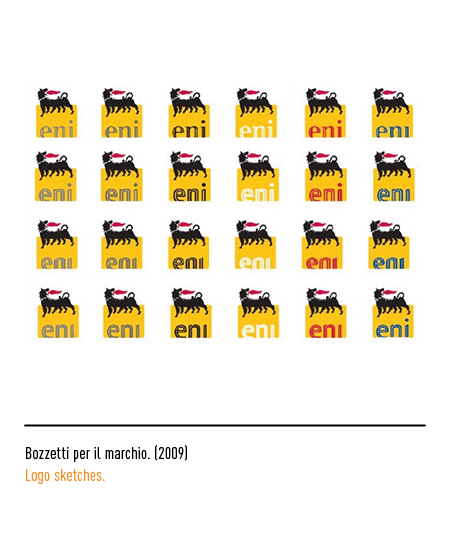 There was also a logo with the slogan "la potente benzina Italiana". 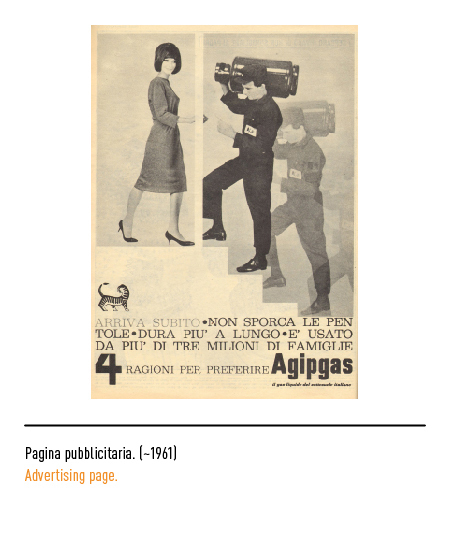 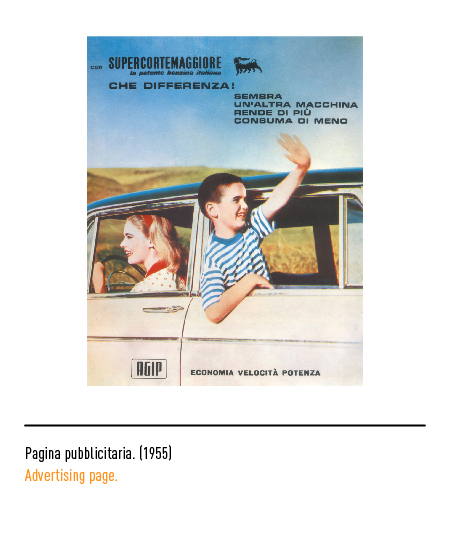 The winning entry for the bill-board poster was submitted by Giuseppe Guzzi, actually an occasional cover for the famed painter Luigi Broggini, who deemed it degrading to have to participate in such a commercially oriented competition. 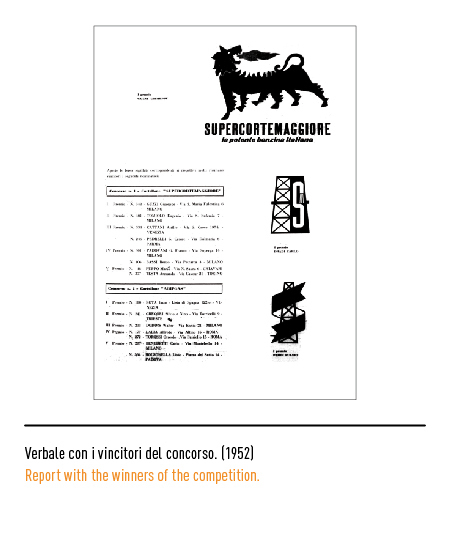 The winner for the Supercortemaggiore logo was, instead, Carlo Dradi whose entry depicted a probe next to the letter "S" against a black background. 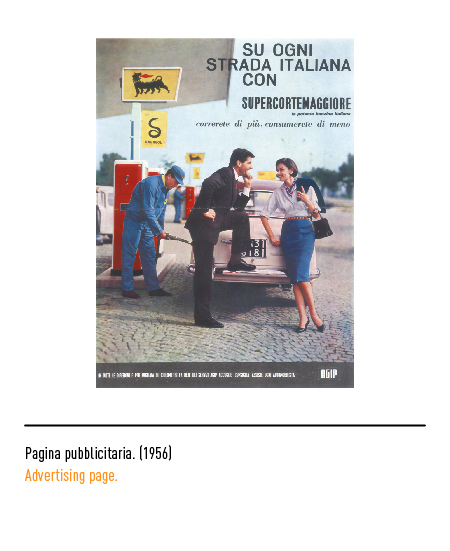 Despite the panel's award, the selection was not approved by Enrico Mattei who preferred the diabolical-looking six-legged dog designed by Broggini for the winning bill-board poster entry. 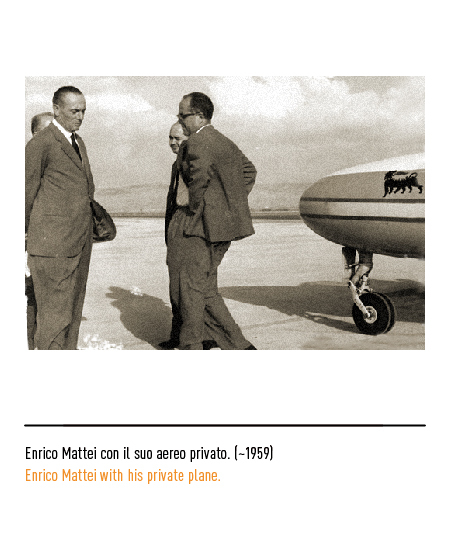 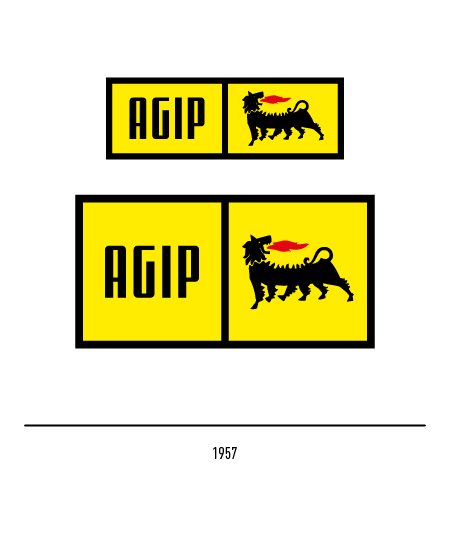 There were many changes after 1953 when AGIP became part of the ENI conglomerate. 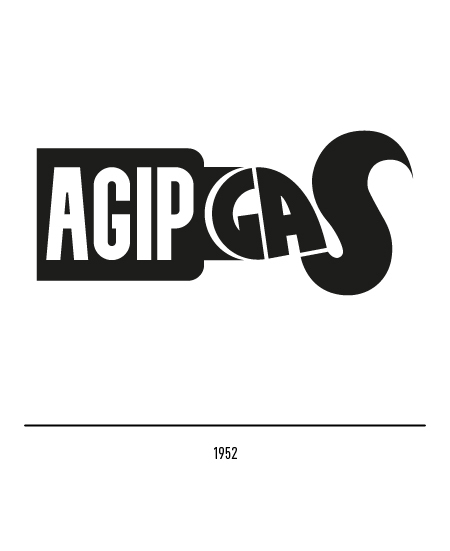 A new logotype was designed for AGIP and from 1956 it was coupled to the dog that was henceforth to change from being a brand logo to being a corporate trade-mark. 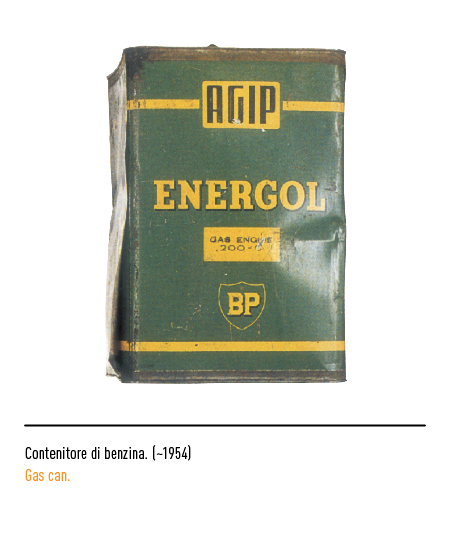 It was in fact depicted inside a yellow trapezoid figure that had been used as a distinctive mark for the company's petrol stations. 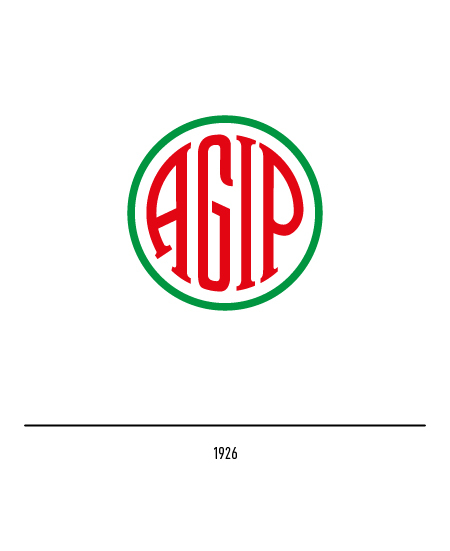 Many and even obvious elements have gone into making the trade-mark's success. 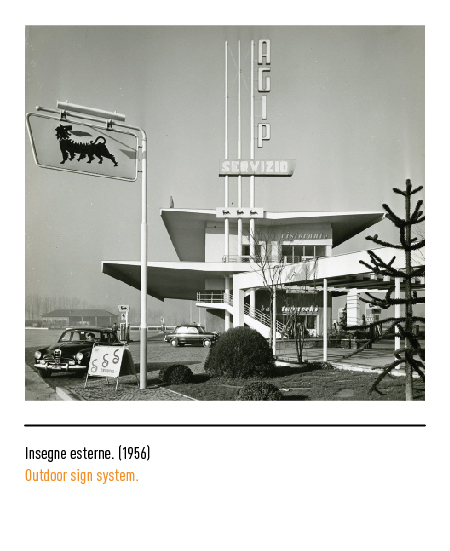 Its style is reminiscent of Futurism, while the dog is a compound of mythological yet familiar and even domestic elements. 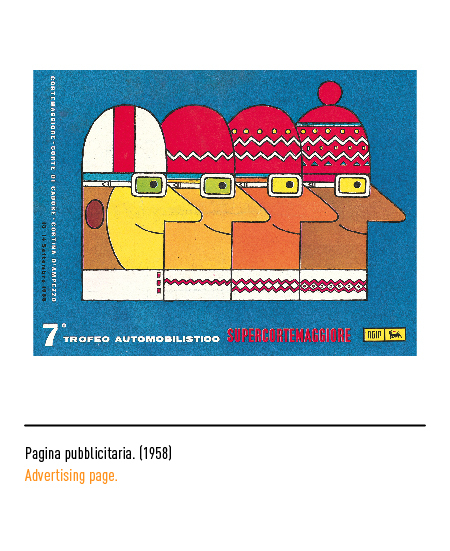 In any case, its high visual impact is undisputedly its strong point. 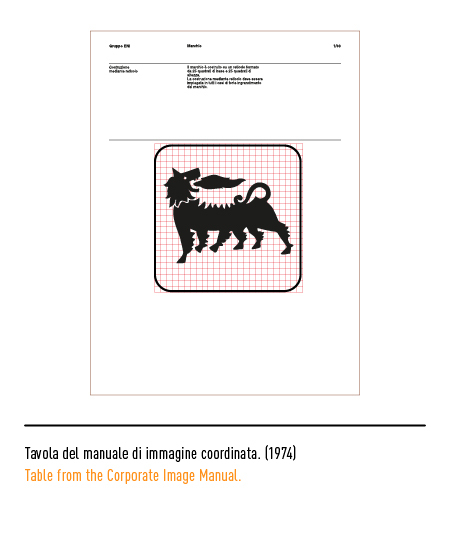 The dog was at the time a fairly independent symbol not strictly associated with the name of the company and hence used freely in various contexts. 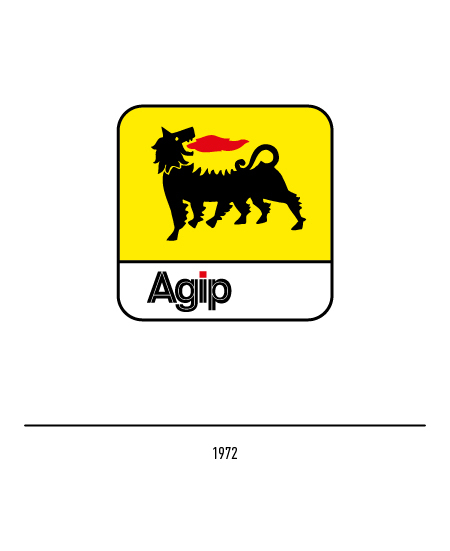 In its first restyling by the Unimark design studio in 1972, it was confirmed as the company trade-mark but the dog was given a more geometric appearance. 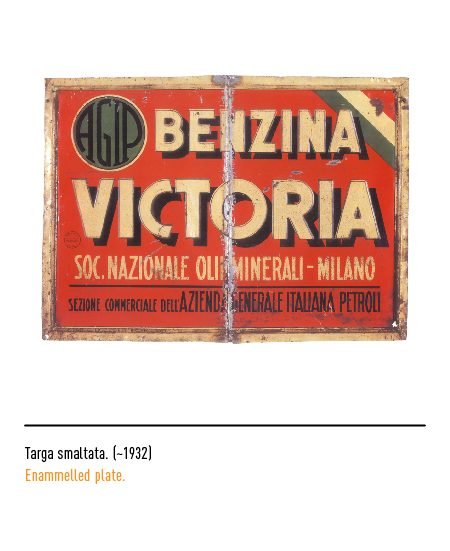 Its ears were rounded off, the body was shortened, and the figure was framed in a square with rounded corners. 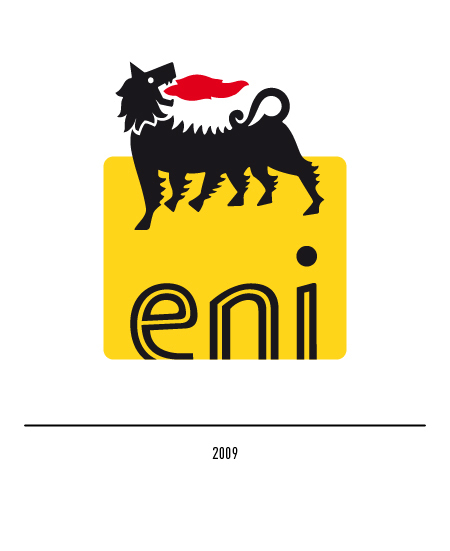 A line was drawn down the middle of the lettering with a clear reference to road lane markings. 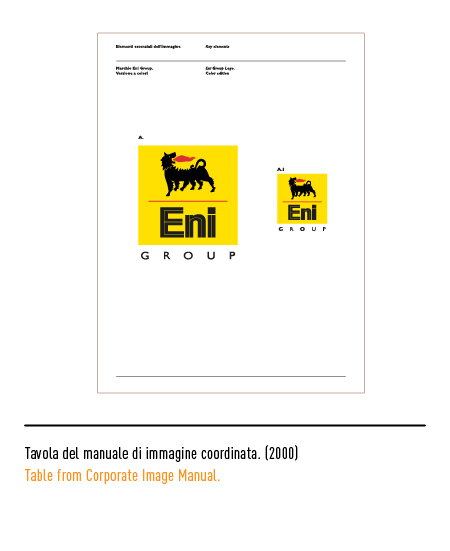 The device was also used for subsidiary companies hence conferring a uniform and distinctive image to the group regardless of its sectors of activity. In 1988 a second restyling was commissioned by "AGIP SpA". 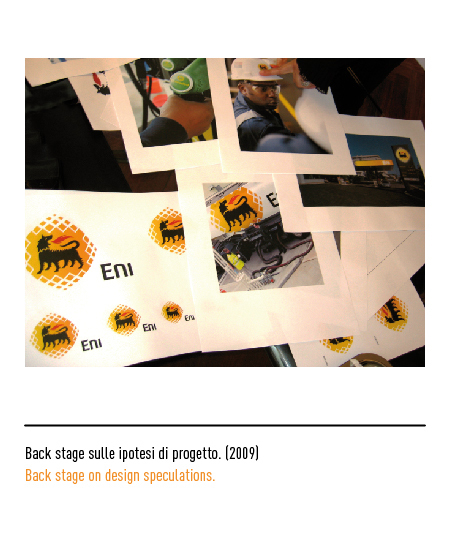 The Chisesi design studio set out to strengthen corporate identity by rationalising its image. 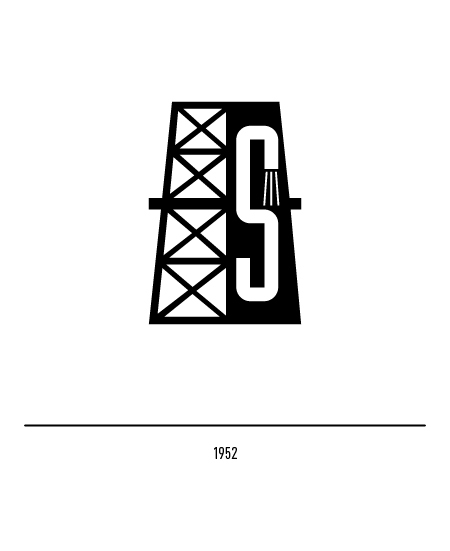 Overall trade-mark construction was revised, the flame was streamlined, the figures eye highlighted, its chest shored up, and its legs re-proportioned in an attempt to correct the perspective of the previous two versions in which the front and rear leg appear on the left and the four middle ones on the right side of the figure. 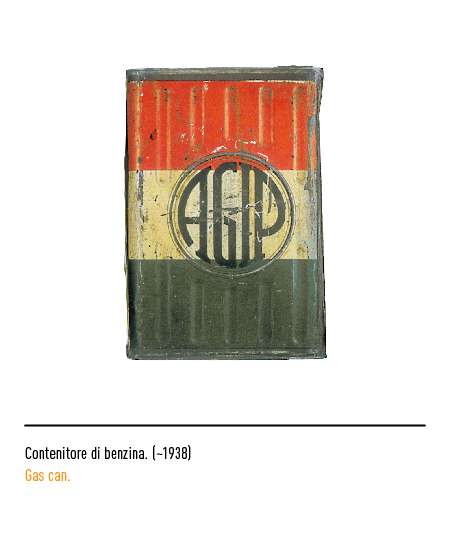 The overall effect was to bolster the animal's countenance conferring it a bolder look and thus recuperating its more fantastic and less domestic identity as it originally had in Broggini's version. 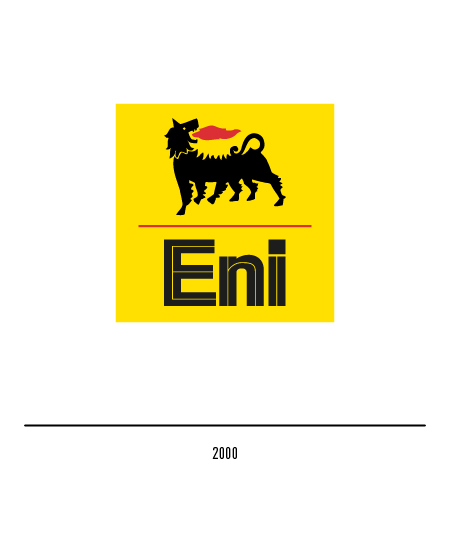 ENI's privatisation in 2000 when its shares were placed on the stock-market necessarily lead to a change in the group's communications strategy with a slight restyling of the Unimark trade-mark. 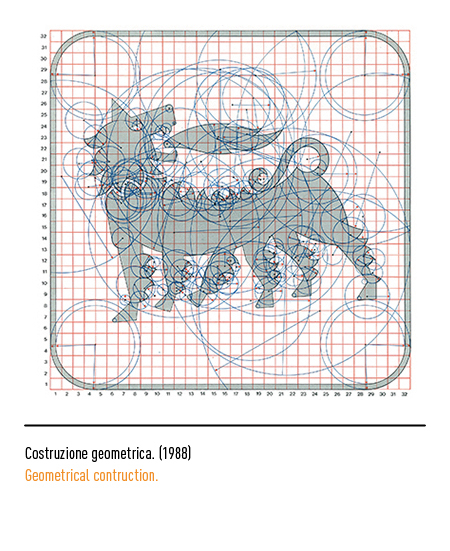 The figure as such was reconfirmed but the roundish frame encircling the dog was replaced by a sharp-angled square one. 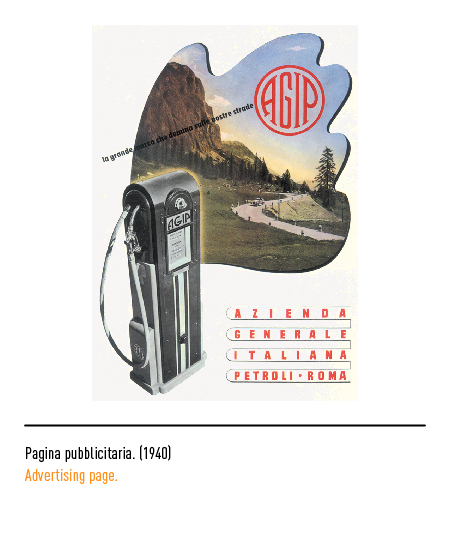 This adaptation conferred a more modern appearance to the trademark and logotype and harmonised their style. 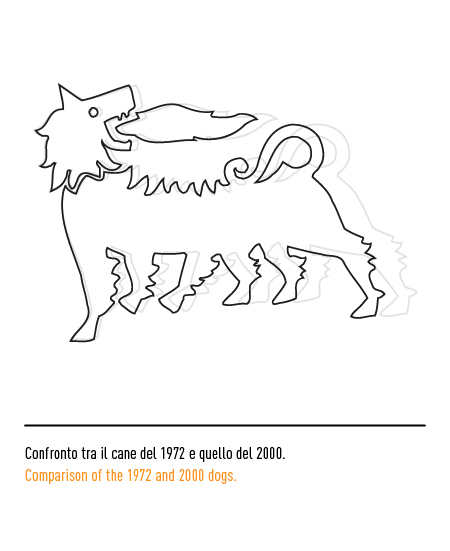 The dog has also undergone a slight restyling. 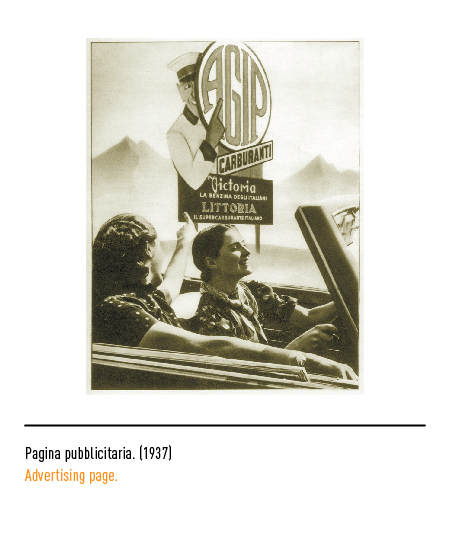 Since 1972 it has been shortened without however detracting from its visual impact and indeed enhancing its aggressiveness. 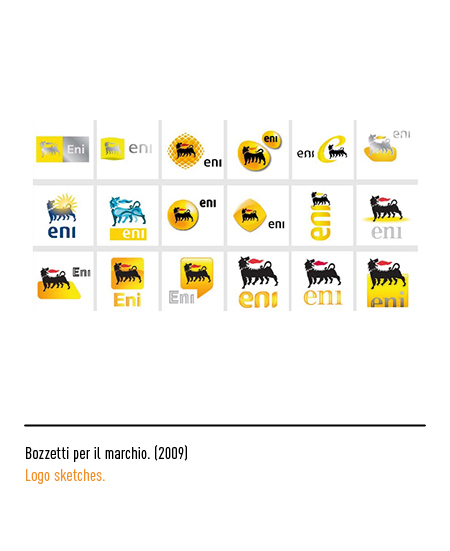 In order to make the brand suitable for the new stock market policies, in 2009 management appoints the company Inarea for the restyling: the modification aims to the coming out of the emblematic six legged dog from the rectangular yellow background with round corners. 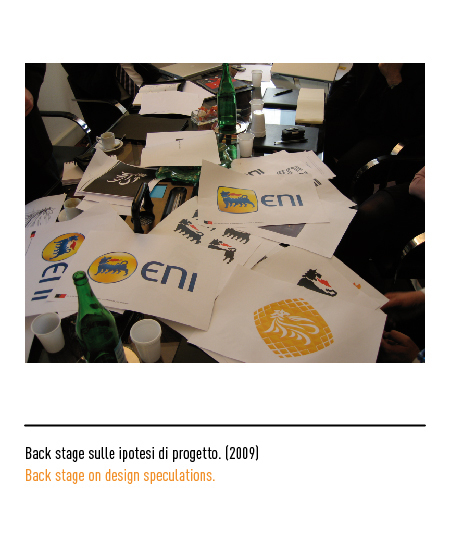 Also, the use of a new institutional font, really small and sharp in the bottom, links the logotype to the previous version.